Biopsies taken from the apical portion of the prostate frequently show skeletal muscle fibers. These are fibers from the urogenital diaphragm extending into the prostate anteriorly and distally (apically). 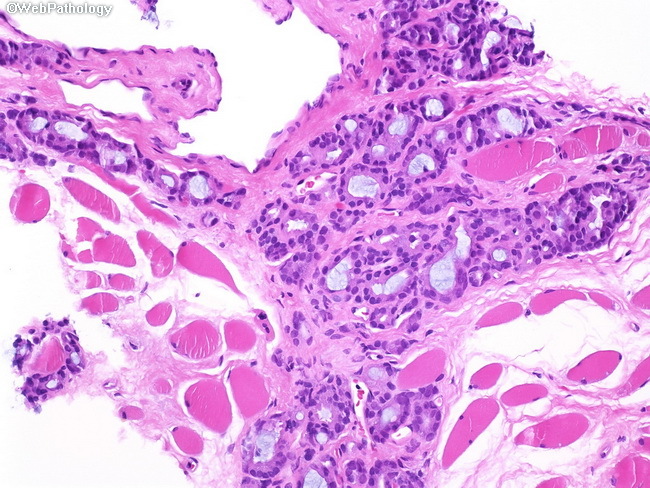 Adenocarcinoma within skeletal muscle fibers in a needle biopsy (as shown here) does not automatically equate to extraprostatic extension by the tumor.